Yesterday, I machine-appliqued some pieces to the border of my quilt to frame and highlight the whole quilt top. 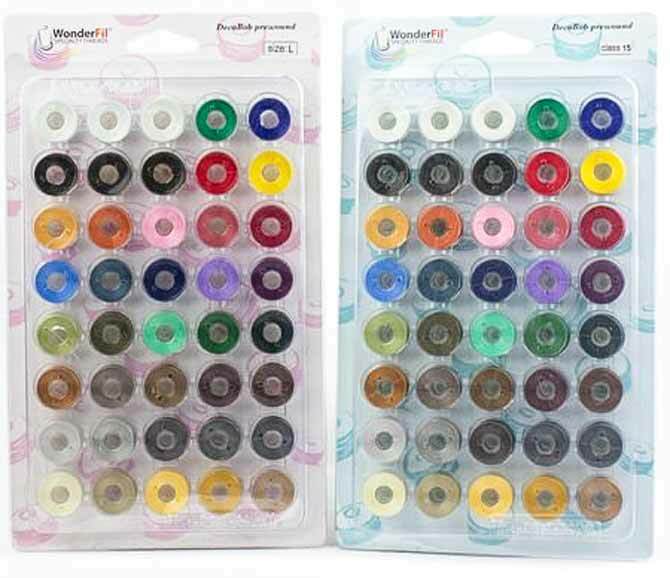 Today, although it’s not a thread normally used for quilting, and I’m not one to follow rules to the letter, I will use WonderFil’s DecoBob Prewound Bobbins to demonstrate yet another useful characteristic of this thread for machine quilting. 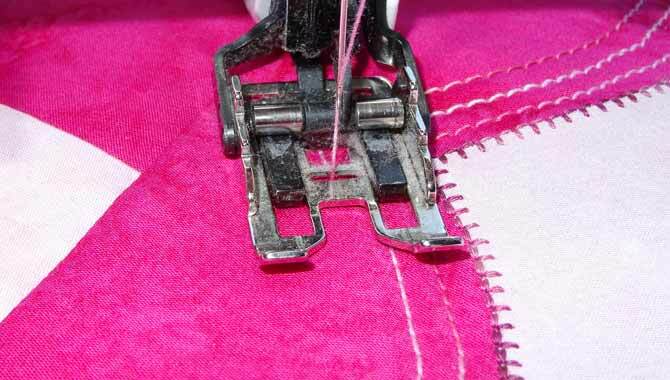 When using threads of different weights, you should always check your tension before sewing. Because you are sewing through 2 layers of fabric and batting, the thickness of combined fabrics is another reason to check your tension before you begin to sew. I’m using WonderFil’s Fruitti thread in Hibiscus FT113 which is a 12wt thread. Due to the heavy weight of the thread, I must increase my stitch length to 3. 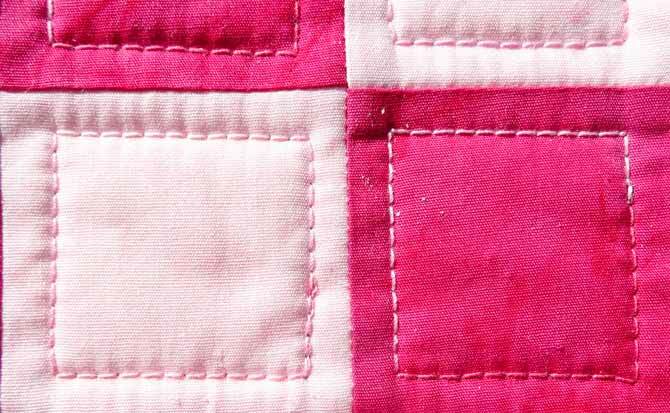 After sewing a few lines of quilting, I checked the back of the quilt to ensure the tension was consistent. Because I was using DecoBob as the bobbin thread, I thought it would be a good idea to check the tension from the bottom. 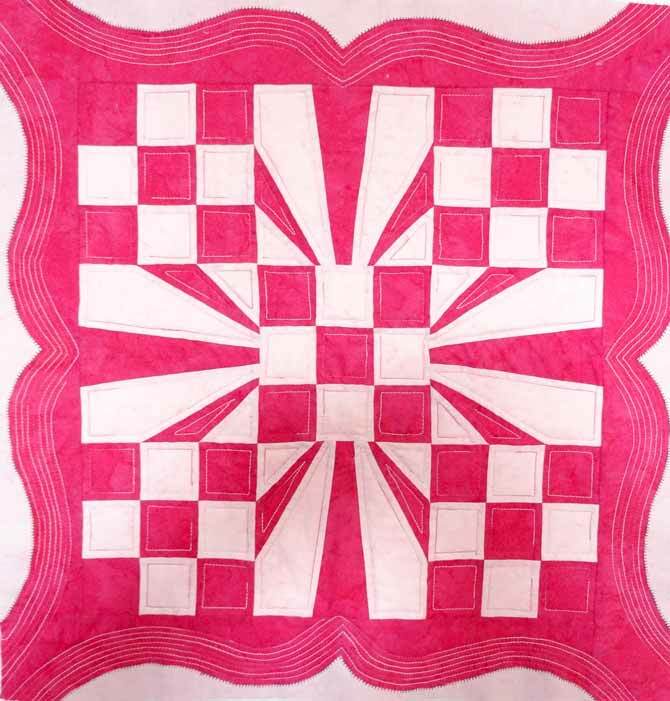 I was pleased to discover that even with the weight differences between the top thread (12w) and bottom threads (80wt), the stitching on the bottom of the quilt looked even and consistent. When quilting by machine the question often asked is: what do you do with the ends of the threads? I hide them the same way I do when I’m hand quilting. 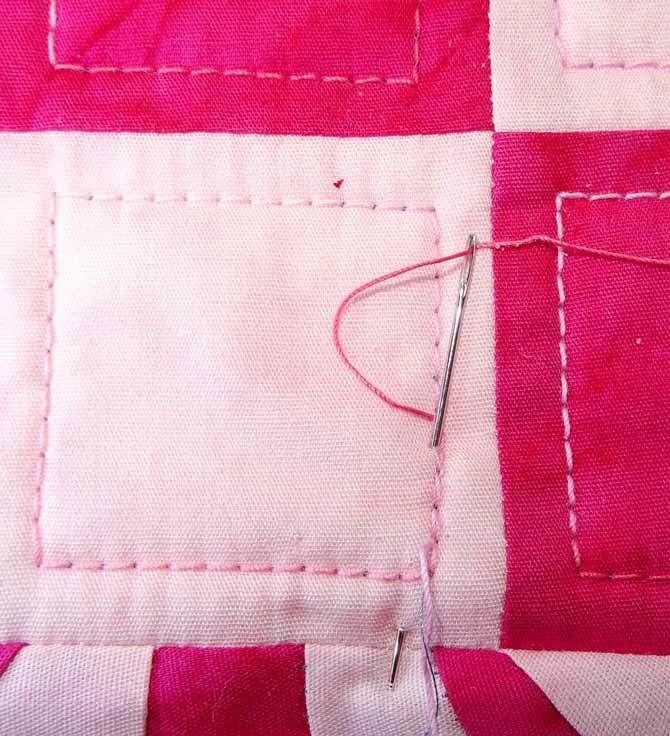 I thread a sewing needle and insert it where I machined quilted as shown in the following picture. After all thread ends are hidden, I then clip the ends off and that part of the project is complete! Now to finish the quilting. Check the full thread line that WonderFil offers. 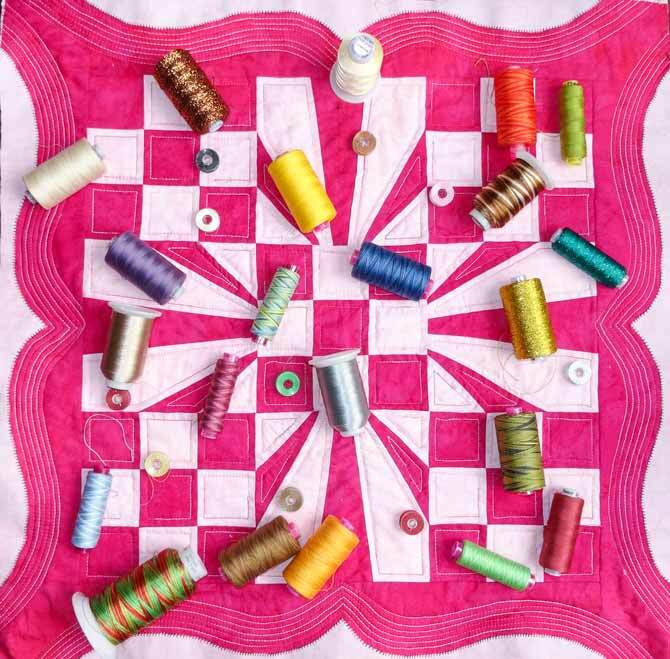 You’ll find a thread for all your quilting needs. WonderFil offers 23 different novelty thread lines ranging in weights from 100wt to 3wt in cotton, rayon, polyester, and metallic. I hope you enjoyed learning about how to confidently use WonderFil DecoBob Prewound Bobbins for machine quilting, as well as for other sewing applications and techniques. These bobbins offer the strength and versatility that your quilting projects need. Thanks for joining me this week and please come back next week to check out tips and techniques shared by another talented quilter! You have such interesting topics! I especially like the variegated colours and how they transfer to a quilt. Thanks for the idea!